← You're feeding them WHAT? Well, antibiotics, hormones, and — HEAVY METALS? • how many months the Mobro was at sea with a load of Long Island garbage back in 1987 and how many states (and nations) barred it from docking. I’m beginning to think I should start a trivia contest based on this thing. Prizes for the first person who can find the picture of the world’s biggest worm! Apparently I left out how many million tons of methane are produced by landfills in the US yearly (138), but I’m working to get it back in. 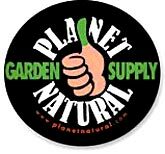 Find something that ought to be in the article, and win a gift certificate at Planet Natural. Details will be up tomorrow. Kate .. this is my second try at posting a comment .. and you thought your brain cells were fried ?? I am impressed that Canada via Toronto is mentioned ! albeit in a negative aspect. So in a positive light I will say that Kingston is getting “GREENER” by the minute .. we finally have a city system that all of us have a kitchen pail .. brown bags to contain the materials in and a large city provided bin that is picked up weekly .. for Kingston this is a huge step forward ! Kate- you’re killing me! I love compost and already have the article up in a new tab for reading. I am so glad you research and write about these things so I don’t have to. The worm composting is my new “must research soon” topic. I must get all the chickens squared away first. Hurray harro hurroo! Fantastic Kate – I bet you’re well chuffed as we say here in dear ol’ Engerland. I went to my first ever talk at my local allotment society yesterday. It was called ‘compost’ and I was sure it would be about just the kind of thing you’ve been researching and we’d be told all kinds of secrets about the best way to make our own, bokashi vs worm vs bin etc etc etc. BUT it turned out to be a man from a well-know peat based compost company instead. Not one word about home made – the closest was a look at municipal green waste composts. The size of the sieves they use make the ones you showed us seem like toys for little boys, not real men. To be fair he did go through all kinds of compost ingredients and told us the good and bad points of each compost ingredient used in commercial products, so I did learn something. But today I feel, er slightly soiled by the experience! I bow to your superior knowledge on all things compost related. This is my second attempt at posting a comment, I guess I spent too much time on the first one. I would love to know what you think. I’m tempted to try some myself. Joy–Canada’s doing much better than the US in many ways. Both in my big organic lawn care article, and here on the blog I wrote about how many municipalities and now provinces have radically restricted the use of lawn pesticides, something that isn’t even legal here. I’m not sure why. I’m including as much about Canada as I can; I’m tired of weather maps that stop at the US borders, both north and south. The weather map in my parents’ paper in Toronto shows all of North America. Go figure. BTW, I got the wine, the mousse AND a movie. Color, though. I guess you can’t have everything! Ooh, Heather great question, and I’m deeply humiliated to say that I DON’T know the answer. But I will find out! In the meantime, here’s my best guess: Composting is composting is composting, and only needs to be done once. Composting your chicken manure in a regular pile is probably the best thing you can do with it. The one critical thing is that the pile should heat up. This is true whether the manure is mixed with other material or composted on its own. Quite right, VP, I am indeed chuffed—I’ve been trying to think of a US equivalent to that fine word, and can’t come up with anything. Too bad about the talk! I’d want to know where that guy’s company was getting its peat; the stuff is regarded as endangered in many circles. Coconut coir makes an excellent and less acidic substitute for most uses, but I don’t know about composting it. Ah, Carrie, don’t give in without a struggle! Missed that one, Michelle. Sounds like an entry in for the contest, to me. Also sounds thoroughly disgusting as well as fascinating. Are we being encouraged to start keeping maggot bins in our basements now? catmint–Yes, that sounds fairly traumatic. We definitely have yellow-jackets in the neighborhood, but not, thank goodness, in the compost. Well normally they’d get their peat from their own peat bog on the England/Scottish border (! ), but 2 bad summers here mean that English peat (and Irish for that matter) are in rather short supply. So most companies are importing their peat from Eastern Europe where (it is claimed) there are vast tracts of untapped peat bogs although it is of the inferior (in peat compost manufacturers terms) ‘brown peat’ variety. Brown peat = sphagnum moss based peat, Dark peat = sedge peat which comes from the bottom of peat bogs in this country and is considered superior by compost manufacturers because it retains moisture better. It was also said that most peat is used for electricity generation rather than horticultural use. So he implied that makes it OK to mine it for horticultural use then. Not. We had 3 samples of coir (the 3 standard sizes) to scratch, sniff and poke at (yes we had samples of every single compost component used in the industry to pass around the room – do we know how to party or what? ), you’d be amazed at its water retention properties, though it was also said at the meeting that the coir is cut up into said pieces, by hand using secateurs in the country of origin. There have also been problems with salt content in the past too which have been in concentrations high enough to kill plants. By salt, he didn’t just mean of the NaCl variety. Coir isn’t very good at holding onto nutrients either, but is very good for striking cuttings and is used extensively in the nursery industry for pot grown trees. Coir + composted bark + sterilised loam tends to be the peat free mixture formulated for professional use, though I noticed the bags at the local garden centre yesterday were based on green waste rather than coir. He also spoke a little about vermiculite – amongst other things and yes we had a sample of this to look at too! Someone in the audience said its very difficult to get hold of nowadays and we were told its because the manufacturing process has been found to be carcinogenic for workers because of the dust. So the 3 main manufacturers based in the States aren’t producing it any more. Do you know anything about that? Does it look like I took extensive notes on Tuesday? Well, you’d be right! You are practically oozing information here, VP. It’s impressive. I had never heard of problems with salts in coir; what’s the source, do you know? I’ll have to ask Eric about this. Over here sphagnum moss is touted as the best peat. Interesting. Are there concerns that bogs in the UK and Ireland might be getting mined out? I’m amazed, actually, that they’re still producing. The stuff may be quicker to recover than I’d thought. As for whether I know anything about the vermiculite business–I wish I knew less. Vermiculite is often contaminated by asbestos–the two minerals often occur together. So mining vermiculite often releases asbestos. The world’s biggest mine was in northern Montana in a town named Libby, which has an extraordinarily high rate of both cancers and lung diseases. The news on this began to come out in the 1980s, and the owner of the mine, W.R. Grace Co, stopped production in 1990. The EPA got involved ten years later after more news exposes; the whole town is a Superfund site now, and according to Wikipedia, the EPA has called this the worst US instance of community-wide contamination. Which means its worse than Love Canal, which was pretty bad. One of my best friends, a guy who was all of 29 years old, died several years ago of melanoma that metasticized to his lungs. He’d spent his childhood in Califoria, where he and his friends used to have sunburn competitions in early summer. But his family moved to Libby when he was a teenager, and I’ve always wondered if living there damaged his health, making him more vulnerable to cancer. Grace declared bankruptcy in 2001, and it and its highest executives were indited by the Justice Dep’t four years later for intentionally concealing information about the dangers of its mining operations since the 1970s. The trial began just a couple of months ago. All vermiculite mines worldwide are supposed to be tested for asbestos now. I’m oozing just like a peat bog Kate! There’s so much I need to look up and verify after Tuesday night’s lecture as the guy just spoke – he didn’t cite sources for his information. I thought most, if not all peat bogs were Sites of Special Scientific Interest or SACs i.e. conserved. However, it looks like I was wrong. As for restoration of the bogs, it depends on how you define restoration. After all, it’s taken 10,000 years for the UK peat bogs to form and decades (or 100s of years at best) for them to be mined. I don’t think restoration puts all of that back, though of course it’s still an unusual and valuable habitat if done correctly. Another claim he made was that green waste (community compost which is also being sold on a commercial basis in peat-free composts or on its own) is full of glass because you can’t police what people throw into their green waste collection bins. I find that hard to believe, especially as he then passed round a sample of the product! However, having seen how much plastic is in the 13 tonnes of green waste my allotment neighbour and his dad have dug into their allotments, perhaps the screening process isn’t that good – round here at least! OMG your information about vermiculite is just awful. I had no idea and I’m so sorry about your friend. One of my uncles died from pneumoconiosis resulting from being a Welsh coal miner – that wasn’t a pretty way to go either. He got it before it became clear what dangers there were in those industries where lots of dust is generated. PS I’ve no idea about the salts in coir claim either. He seemd to imply it was a past problem that’s been (or being) sorted out. Your page is really complete, so I just have to say thanks for this and say again that I’m sure that making our own garden compost is a lot easier than most people realise. I didn’t had any difficulties doing this! 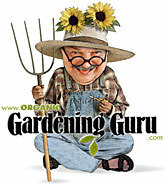 Moreover we can recycle most of our organic household and garden waste and enrich our garden’s soil at the same time. It is a really good way to help the environment.